The northern edge of New Zealand welcomes visitors with endless coastlines, deep blue seas, giant sand dunes, ancient kauri forests, white sand beaches, and some of the best fish and chips in the country. Auckland to Cape Reinga is a New Zealand road trip filled with unusual natural history and cultural folklore. This flexible New Zealand itinerary can range from a slow adventure to a 2-day whirlwind of excitement. We have found four to five days to be optimal for this North Island road trip. 6 What is your favourite New Zealand road trip? 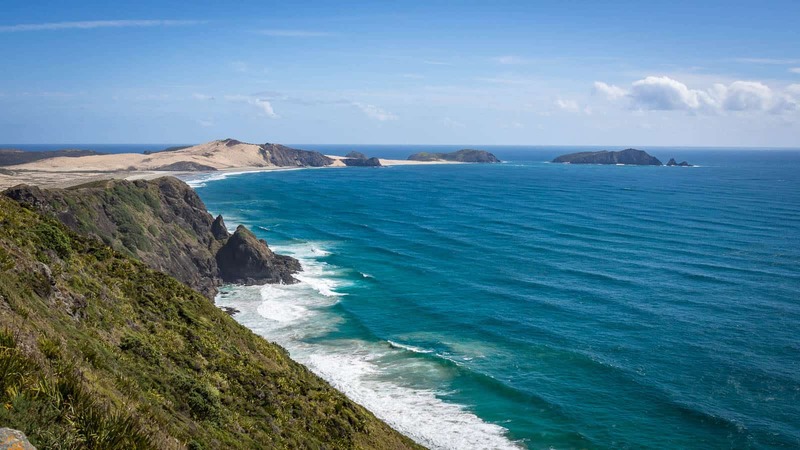 How many days will you spend to drive from Auckland to Cape Reinga? Northern tip of New Zealand, photo taken from the lighthouse at Cape Reinga. Straight through, it’s a 425 km drive from Auckland to Cape Reinga that takes just under six hours. However, there is plenty to see and do along the way. 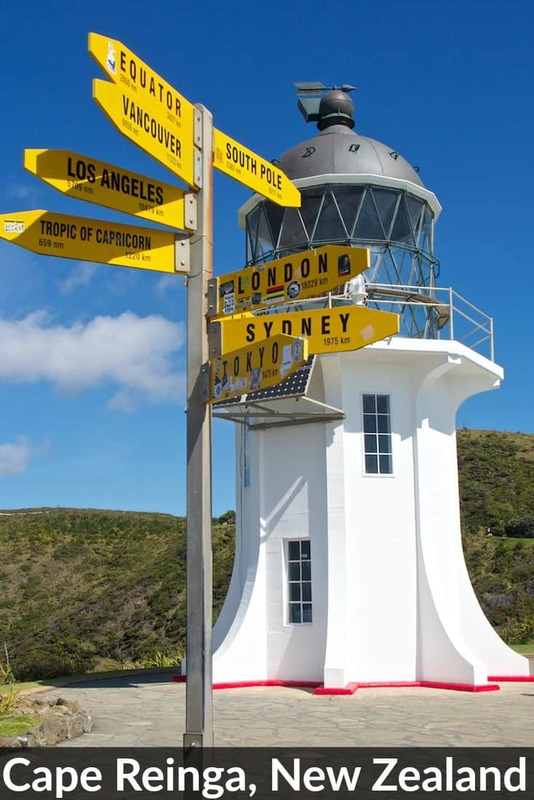 Each of our recommended four to seven day Auckland to Cape Reinga self-drive itineraries follow the same basic route. However, the details are determined by the specific number of days allocated for your trip. If you have less than four days, skip down the page for alternate suggestions. First is Auckland to the Bay of Islands (east coast). Next, continue north to Kaitaia, with an optional drive on the Karikari Peninsula. Then, drive along the Aupouri Peninsula (the narrow strip of land leading to the top of the island). Finally, return from Cape Reinga to Auckland along the west coast. We prefer a self-guided New Zealand road trip over a guided tour. If you are the opposite, click here to skip to the two to three day guided itinerary options below. Get an early start and plan to spend the first night in the Bay of Islands. It is an easy three-hour drive from Auckland. If you are on a tight schedule (four or five day itinerary), drive straight through. You will be in the Bay of Islands by 11 am, with over half a day to spend in the area. If you have allocated six or more days for the top of the island, you can enjoy a leisurely drive from Auckland to Paihia. We typically stop at Sheep World, two waterfalls (Whangarei and Piroa), and Waipu Caves. 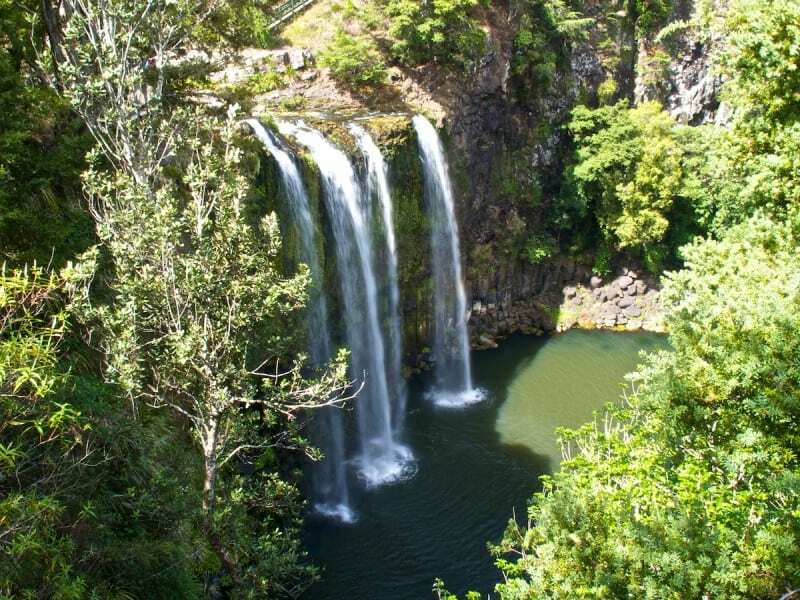 PRO TIP: To find Piroa Falls using GPS, search for “80 Waipu Gorge Rd” on Google Maps. Visit the Hundertwasser Toilets, the only structure designed by Fredrick Hundertwasser in the Southern Hemisphere. This is a quick stop that can be included in any itinerary. Walk to the Opua Forest Paihia lookout, or take the car ferry from Opua to Russell. This is only included in our itineraries of six or more days. Regardless of how many days you allocated for this adventure, you will want to spend the first night in Paihia (on our seven-day itinerary, you will spend two nights here). Locals and many tourists often spend a week. 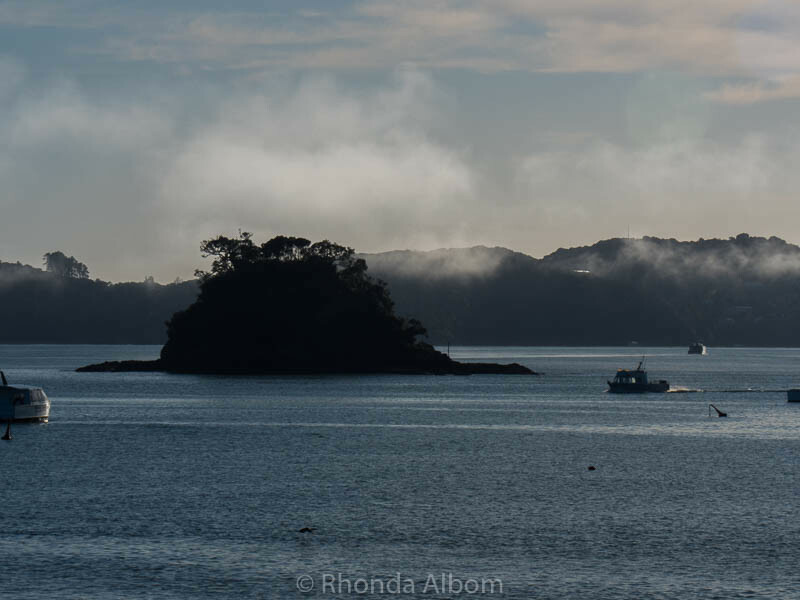 Paihia is centrally located, and while nearby Russell is more relaxed it requires ferry passage and is more expensive. Paihia Beach is ideal for swimming, kayaking, parasailing, or relaxing. Paihia’s port is the starting point for an excursion to the Hole in the Rock, the passenger ferry to Russell, or a swim with the dolphins. On the four to five day itinerary, you will have time for only one of these water activities. We love to walk around New Zealand’s first capital city, and when we feel energetic we hike up Flagstaff Hill. We typically leave our car in Paihia and take a passenger ferry. Everyone should explore the Waitangi Treaty Grounds, the birthplace of New Zealand and what I believe is the country’s most important historic site. Don’t miss the nearby Haruru Falls and, if you have extra time, hike the trails in the surrounding forest. Cultural show at the Waitangi Treaty Grounds. 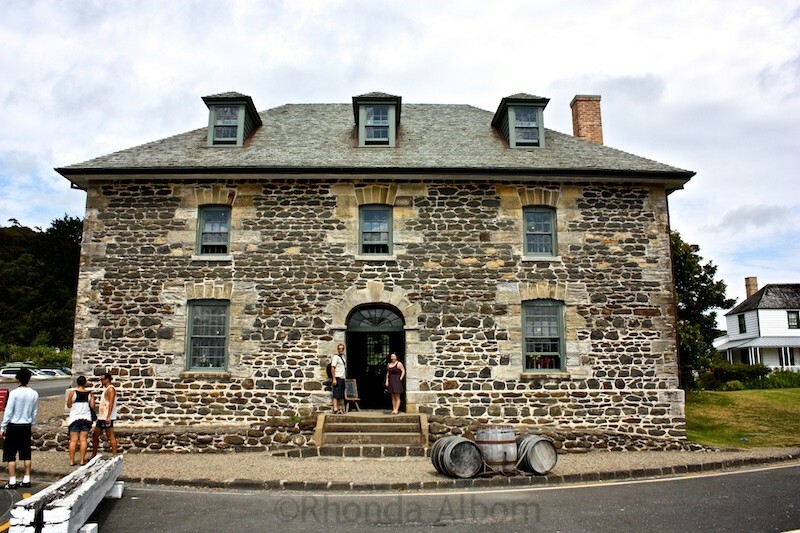 Visit two of New Zealand’s oldest buildings; the Old Stone Store (built in 1832) and the Kemp House. It’s a short walk from the car park. 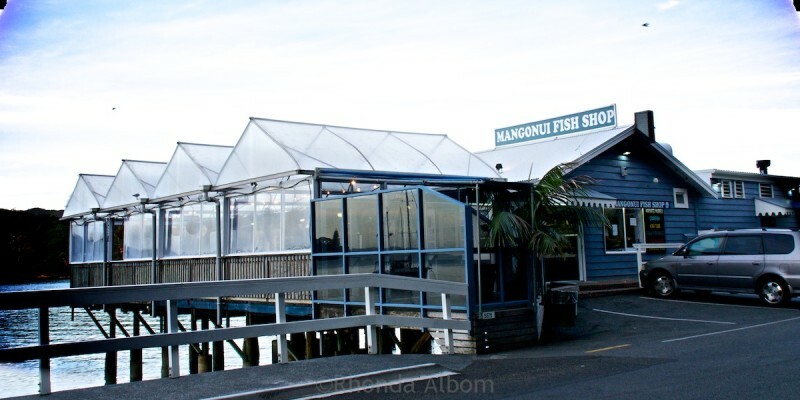 Often thought of as the best fish and chips in the country, it’s the lovely views that actually keep me coming back to the famous Mangonui Fish Shop. There is one beach after the next. On our last visit, we stayed right on Cable Bay beach. This is the first point where our itineraries split. If you have only four days, you will continue on from Manganui, skipping the Karikari Peninsula, and spend the night in Pukenui. If you have longer, spend the night on Karikari Peninsula or a north coast beach city. In the morning, detour onto the striking Karikari Peninsula for a relaxing glass of wine at Karikari Estate or a swim in the gentle waters at the picturesque Matai Bay Beach. Rumour has it that there are little blue penguins at the beach in Whatuwhiwhi, but we didn’t see any. Outdoor seating at the Karikari Estate Winery. After the Karikari Peninsula, or instead of it on the four-day itinerary, spend the night in a cabin at the Pukenui campground. The next day is long and exciting, and this gives you a head start on the Aupouri Peninsula. 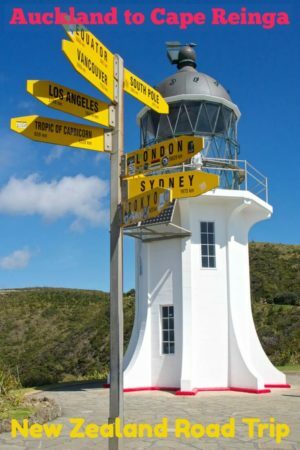 The pinnacle of your Auckland to Cape Reinga road trip is the Aupouri Peninsula, the narrow strip of land running approximately 100 km north to the top of the island. Get an early start as, in addition to the three hours of driving today, there is plenty to see and do along the way. We stopped to swim, to drive on the beach, to sandboard, and to walk through an ancient buried forest. The peninsula shares its name with the local Maori iwi (tribe) Aupōuri. In legend, it is known as Te Hiku-o-te-ika-a-Māui, which translates to the tail of Māui’s fish. The order presented here heads north along the peninsula, but we recommend saving some of the stops for the return drive. With 4WD you can drive on this beach, which is actually classified as a section of Hwy 1. We can’t stress this enough: read the warning signs and know the tides. If doing the six to seven-day itinerary, stay an extra night in Pukenui and visit the beach in the morning. An ancient buried kauri forest, this is a fascinating stop. Our favourite eatery on the peninsula. If you are quiet as you walk across the white silica sand, you will hear the oddest squeaking noise. A country store famous for serving huge, creamy, and delicious ice cream. Adventure seekers will want to go sandboarding on these giant sand dunes. Finally, you will reach Cape Reinga. More than just the top of New Zealand, it is a spiritual place for the Māori people and the meeting place of two major bodies of water. The path leading to the Cape Reinga lighthouse. The meeting of the Pacific Ocean and the Tasman Sea at Cape Reinga. As you drive down the west coast, you can lob about an hour off the drive by taking the Hokianga car ferry from just past Kokukohu to Rawene. Check the Hokianga Ferry schedule to be sure you don’t miss the last ferry of the day. Once on the other side, you will want to have lunch in the quaint Opononi Village. If you are on the six or seven day itinerary, spend a night at Opononi Lighthouse Motel. On the four or five day schedule, you will be spending most of this day driving and enjoying New Zealand scenery. If you don’t get an early start, you will have time for only one stop, and that will be the Waipoua Kauri Forest. 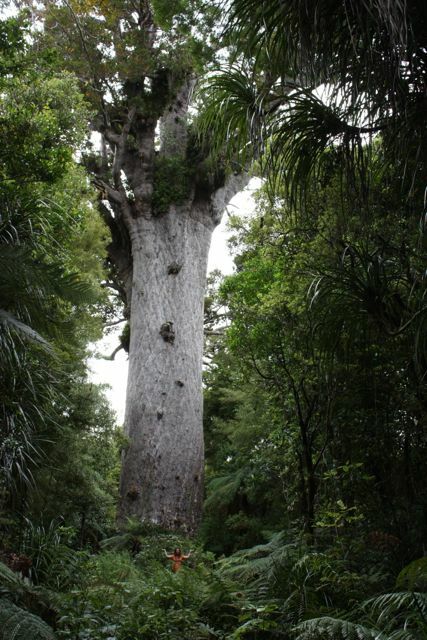 Home to New Zealand’s largest living kauri tree, it is only a five-minute walk from the trail marker to the 2000-year-old Tane Mahuta ‘Lord of the Forest‘. Also, take the short drive to the next car park, where there is an easy 20-minute (one way) walk to see The ‘Four Sisters’ and Te Matua Ngahere, ‘Father of the Forest‘ (the second largest tree). Tane Mahuta, Lord of the Forest – for perspective, notice my niece in an orange shirt in the bush at the base of the tree. Located in Matakohe, it is a favourite museum of many of our guests. However, if you try to make the return trip from Pukenui in one day, you probably won’t get to the museum before it closes. If you are visiting New Zealand without a vehicle, or if you prefer the knowledge of a local guide, this is the Northland tour we recommend. It starts and ends in Auckland and does it all in just three days. Scenic drive through Puketi Kauri Forest. Entrance to Waitangi Treaty Grounds. Cruise to the famous Hole in the Rock. Free time to explore the Bay of Islands. It is possible to travel from Auckland to Cape Reinga and back in just two days. The total drive time in one direction can be as short as six hours. However, there are a few places you would want to stop and see along the way. 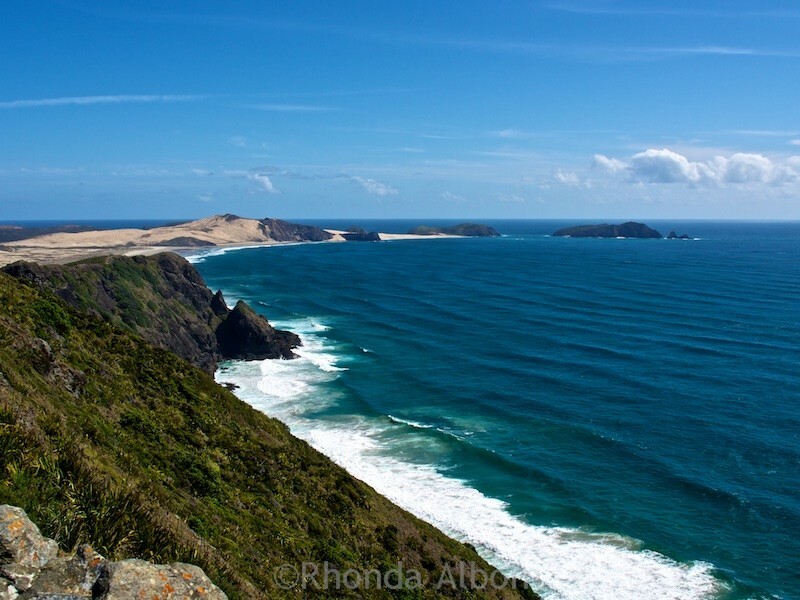 If your time is extremely limited and Cape Reinga is a must-see, we recommend driving to Paihia in the Bay of Islands, exploring the area, and spending the night. On day two take the 11.5 hour Cape Reinga and 90-Mile Beach Tour in the table just above. After it returns to Paihia make the 3.5-hour drive back to Auckland. This is not optimal, but possible. Cars drive on the left side of the road in New Zealand. Our speed limits are somewhat lower than in other countries. Allow enough time to get to your destination. Know the driving rules. Be sure to understand how to cross the one-way bridges you will encounter driving from Auckland to Cape Reinga. In each city, there is a range of accommodation options. We use and recommend both booking.com and HotelsCombined to find the best prices in New Zealand. What is your favourite New Zealand road trip? How many days will you spend to drive from Auckland to Cape Reinga? Disclaimer: We were frequently provided with complementary services as we travelled from Auckland to Cape Reinga and back. All opinions expressed here are strictly my own. We spent a week at a batch (holiday home) in Taupo Bay which is about an hour north of the Bay of Islands. Took a tour up to Cape Reinga and it was fascinating driving along 90 mile beach, climbing up the massive sand dunes and then sliding down them. but the most spectacular view was at the cape itself, with a line of white water stretching as far as the horizon, showing there the two oceans (Pacific ocean and Tasman Sea) meet. We also drove through the Kairi forests and explored pretty much the whole of the northern part of the North Island. It’s beautiful up there. I don’t know if it still exists, but about an hour north of the Bay of Islands there was a place where you could see the glow-worms. It wasn’t in a cave, it was out in the bush and in an area of rocks. The land owner had marked the area out with pathways, and you could only visit at night. That was pretty amazing too. could you pls tell me the location of glow worms near Bay of Islands plss ..!!! This brings back memories of my bus trip to Cape Reinga way back in 1980. I loved the 90-mile highway drive, and I remember stopping to dig clams. Haven’t done that part of my homeland yet. I’d love to check out the Bay of Islands by canoe one day. You’ve made me smile with memories of exploring many of these sights – and reminded me how lucky I am to come from such a beautiful country. Great itinerary! I am absolutely drooling over this road trip. So many beautiful sights to see. Your pictures are fantastic. Australia looks like such a beautiful country. I can’t wait to visit someday. LOL – This road trip is in New Zealand, however, Australia is also a beautiful country. THis is right up mine and Corinne’s alley. We would definitely self drive. I have to admit, I got detoured by your Hundertwasser toilet post. Fascinating! It’s amazing how far Hundertwasser spread his artwork! A little strange there were toilets designed by him, but cool! We have a few near us too, especially the Hundertwasser Tower! Your blog is an inexhaustible source of useful information, Rhonda. I wish I would have the time to drive through New Zealand. Like you, I’d prefer the self-guided tour because I like to make my own schedule and travel at my own pace. For now however, I’ll just keep dreaming about seeing your beautiful country. That’s great to learn about the interesting places on the North Island. I have only road tripped around the South Island before. Look forward to exploring the North. Thank you for the itinerary suggestions, Ronda! We drove to the Bay of Islands many years ago. It was our first taste of New Zealand and the first of many, many trips to your beautiful country. Thanks for the trip down memory lane. 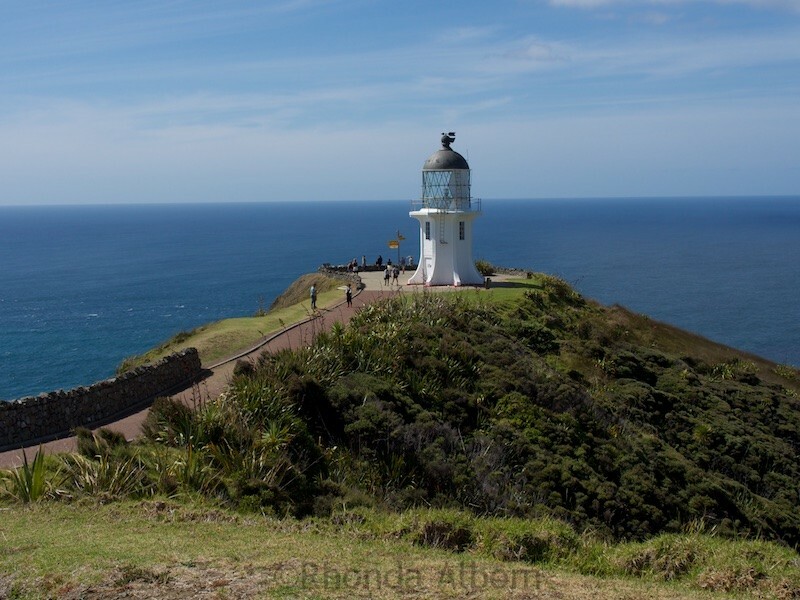 I am planning a bit of a road trip in NZ for later this year and while I have been up to Cape Reinga my husband (and driver lol) is an NZ newbie so this will be great to use as a guide. Thanks for sharing! As always, I love your pics Rhonda! And great itinerary ideas too! Thanks! 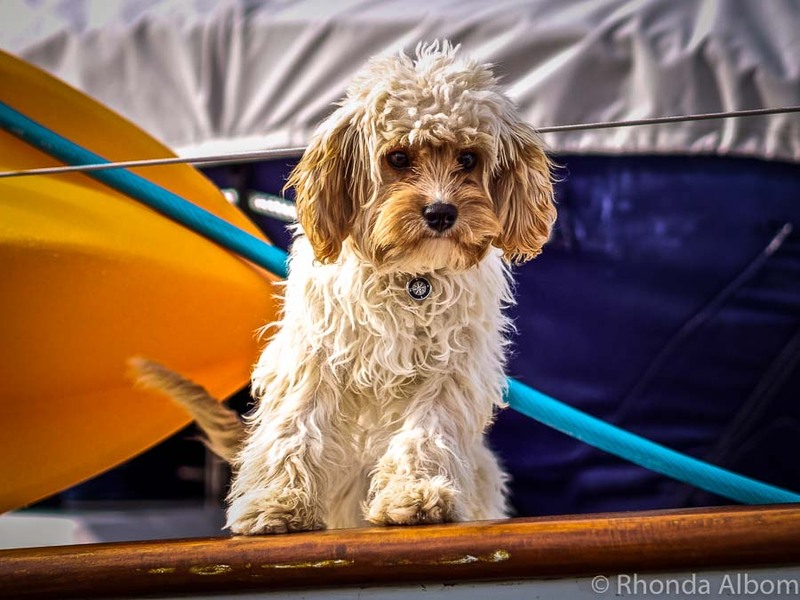 Rhonda, your first two photos were gorgeous. They were beautiful. I left because the next photo had this man stick out his tongue. What a hoot. I’m back from my cruise. I had a great time but wouldn’t you know it, I get sick. Oh well, that’s life. See ya. 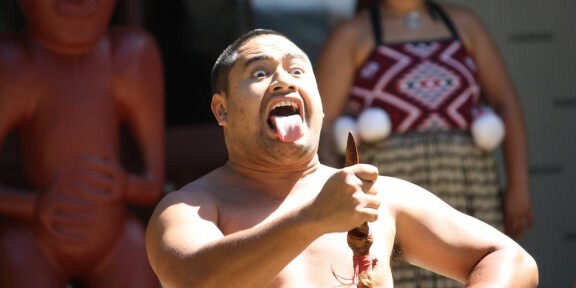 LOL Paul, that is a traditional Maori Haka at the Waitangi Treaty Grounds. Maori are the indigenous people in New Zealand. Cape Reinga is a very sacred place to the Maori. We have always planned on traveling New Zealand upon retirement but now that our youngest is moving to Australia we may be able to visit New Zealand on one of our many trips to visit her. Beautiful photos of a beautiful country. 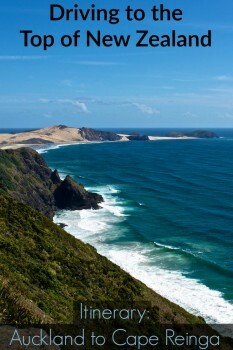 That view from Cape Reinga, at the tip of the north island looks amazing. Also the Whangarei Falls are beautiful. We really love NZ and have been south twice. Next time we’ll head north. Wonderful pictures and such a detailed post. It makes me wanna go to NZ right now! I hope that I will be able to do such a trip one day and make use of all the information you provided with this article. Wow, what a gorgeous road trip! We don’t have any plans to go to New Zealand soon, but I would love to see the natural beauty of it. Your photos are absolutely gorgeous! Definitely pinning for later! New Zealand sounds like such a beautiful country. A roadtrip in New Zealand sounds like a magical idea. I would love to do it one day. I just wish it wasnt so far from London to travel there. New Zealand is best seen by road trip. It is all the little places between the destinations that make is so exciting. This is exactly the sort of post we like! I have bookmarked it. Although: it will take us quite a few years until we come to NZ. We keep saying that we’ll visit once we’re too old to travel far – LOL. New Zealand is only a short hop from Australia, currently we explore Latin America in our own overland camper. Thanks Juergen, and glad I was helpful. We will be heading to Latin America later in the year. It looks like an incredible trip! I love the way you’ve laid it out for us. Thanks for sharing with us at Photo Friday! Thanks Jen. It is a good trip. We have done it more than onces. Looks as absolutely beautiful – like all of New Zealand appears to. So glad you included the maps to show where all these pretty spots are. What gorgeous places in NZ that you always share with us, it is true, you do not need to travel out of NZ with all the beautiful places that you have there! Thank you. I like exploring outside of New Zealand as well, but it is a gorgeous country with many places to explore. This will probably be the first road trip I do when I get to New Zealand … thanks for the handy guide! This is great! I really enjoyed the picture. I’d chew up a memory chip with photos. Surfing on the dunes would be fun. There are giant sand dunes on the southern Oregon coast and I always wanted to turn by old VW Bus into a dune buggy and go riding across those dunes. That would be very fun. My girls definitely enjoyed sledding on the sand dunes. Beautiful photos! Maybe someday I’ll get to follow this itinerary! Hopefully you will, Jill. Good luck. The Bay of Islands was the first place we ever visited in New Zealand. It was 1994 and we were on our way home after spending 9 mths travelling the world with our two small boys. It was just magical to be able to relax in a place so lovely and so close to home – both culturally and geographically. I have had a soft spot for the Bay of Islands ever since. 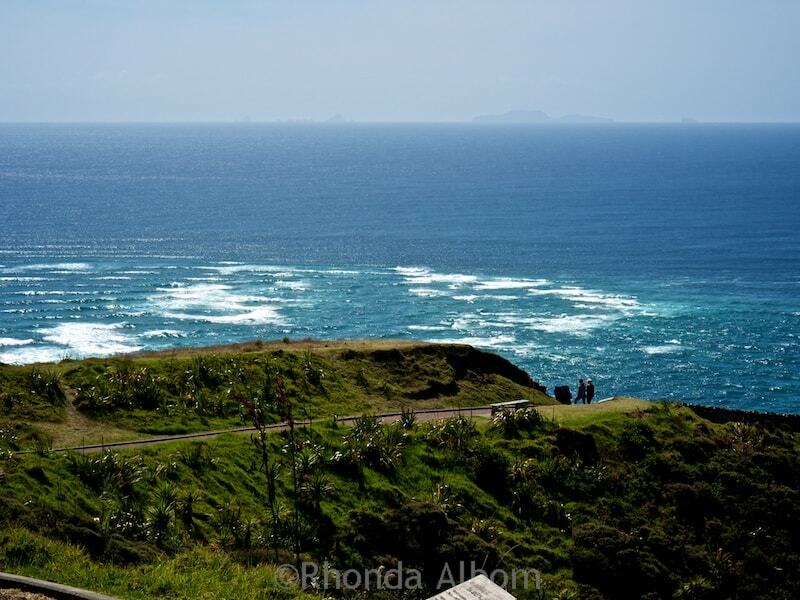 Did you make it up to Cape Reinga while you were there? I will take my time to explore the area. I love the idea of driving between waterfalls and coast. In your opinion, is this part of New Zealand more affordable than other more popular areas? I think in general, the more rural, the lower the costs. We tend to do a lot of thing that locals do, so we spend less traveling then people who go to all the tourist destinations. Breathtakingly beautiful. Each time I visit your blog, I think I need to make a trip to NZ. Thanks for the tour, Rhonda! You live in paradise. Yes, if you like my photos, you will love the real thing even more. Great tips! So beautiful and a place I have not yet been. My husband, Laurence, lived there for a year and got so many great photos from his time there. Did your hubby make it to the top of the island? Wow that photo of the Whangarei Falls is beautiful! This has so much useful information and gorgeous photos. I have always wanted to go to New Zealand and this makes me want to go even more! 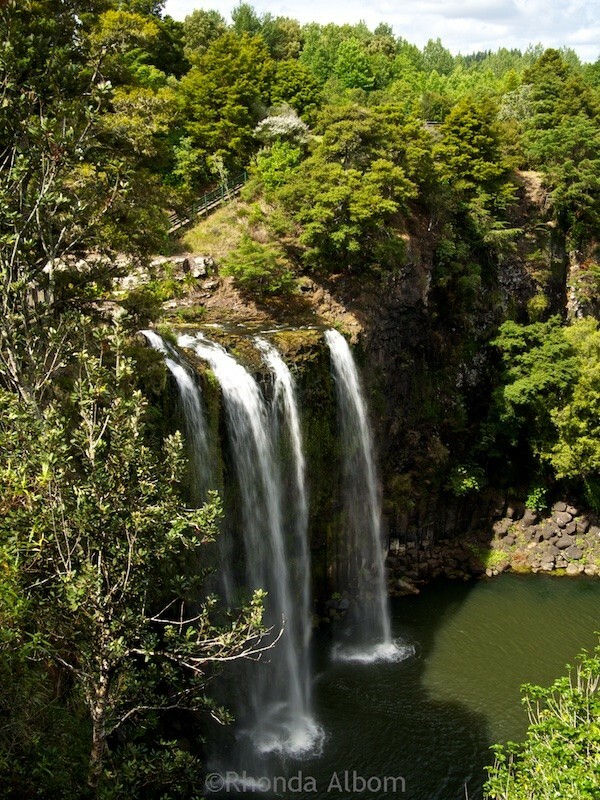 thanks Shanna, the Whangarei falls are beautiful. Great shots as always. My favorite of all is the lighthouse. I’d spend a lot of time there. Of course you would like the lighthouse best. So it’s three to five days if you’re stopping and doing things, right? Actually, you could do it in less time if you just wanted to get to top. Five days is a good amount of time to see all the highlights I mentioned. 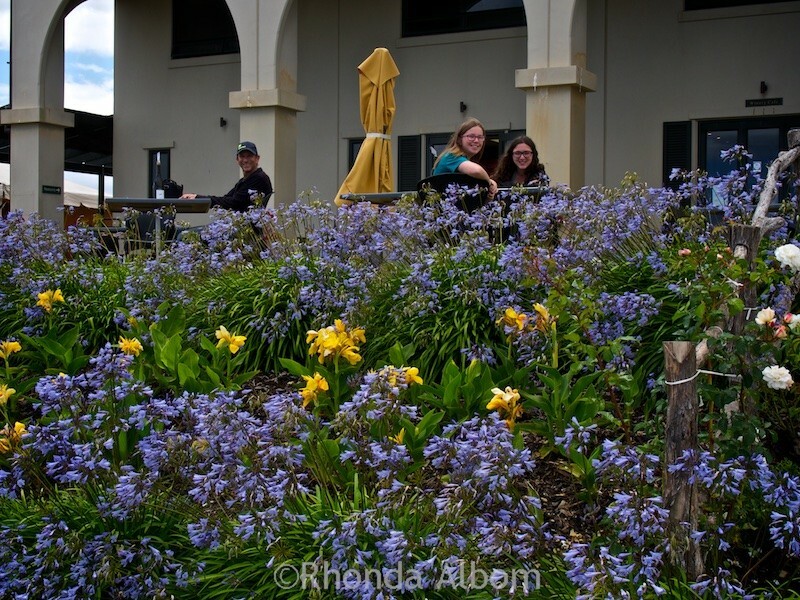 Hi Rhonda, thank you for sharing this great road trip itinerary for the top of NZ. You’re right when you say that the top of NZ is often overlooked by tourists, often in favor of heading south – but you have provided lots of reasons to head north instead! And your photos are stunning! So, are you heading to the Cape? I could easily spend 10 days in Northland, but if you have a limited amount of time in New Zealand, there is a lot to pick from. Thanks Denise, I hope it helps you when you go up to the top. Rhonda, We have not done any of the North Island, so maybe we need to plan a trip. I love a good road trip! Yes, it’s time for another visit to New Zealand. Gorgeous countryside. You don’t have to travel to other countries with those beautiful sites. That is true, and we sure have been enjoying traveling around New Zealand. Great itinerary and one that will make it very easy to follow when we eventually get over there. We have friends up the north, so may well have to get a move on. Look forward to exploring all this in two weeks time 🙂 loved bay of islands from our last time and can’t wait to explore further up north! If you use this itinerary, let me know how it works out for you.